Yes, you want to get the best score possible. And at some point, taking the SATs again and again stops being prep and starts being torture. So, what magic number works best for you? Let’s hang back and look at a few key factors of your situation. First, some quick numbers to play with. 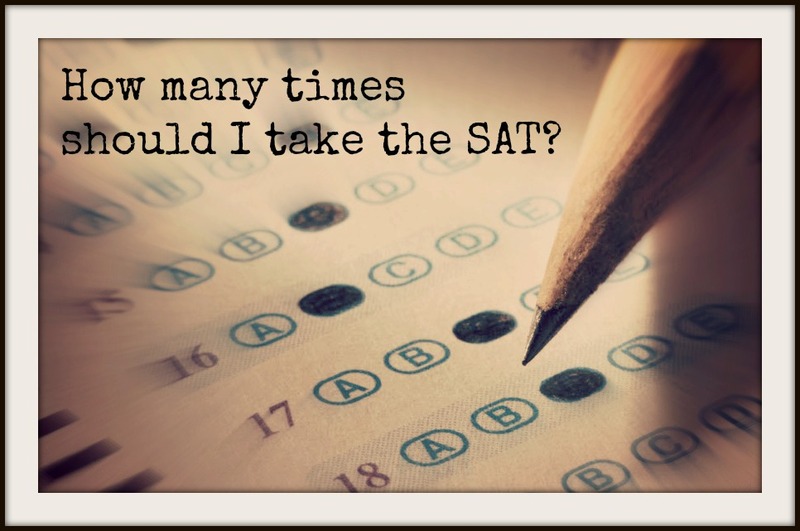 You’re allowed to take the SAT as many times as you want. Whether you’re sixteen or forty-two, you’re absolutely free to wake up on a Saturday morning of your choice and fill out test questions for three hours. You will not be stopped. As long as you sign up at www.sat.collegeboard.org and your check clears, the test makers will let you show up and take the exam. Some people are under the incorrect impression that students can only take the SAT once, and then they’re stuck with whatever less-than-desirable score they happened to pluck out of the hat. “I can take the SAT an infinite amount of times!” you shout, excited. Well, no. You’re not superhuman. You’re really only capable of taking the SAT 1-4 times. We’re not looking at you, Debbie Stier–author of the Perfect Score Project, and a magical being that managed to take the SAT 7 times in one year. In theory, you can take the SAT every month offered in the given year. Remember that each test will take a bit over 4 hours to complete (3 hours and 45 minutes of test time plus breaks and administrative time) on a precious Saturday morning. Also, money’s a big factor. Every time you take the test, you’re forking over $52.40. If you pulled a Debbie–a.k.a., took the SAT in January, March, May, June, October, November, and December, that would cost $367.50. For the average student, there’s definitely a better way to spend your time and money. And even though you can take the test this many times, colleges will start raising their eyebrows as you go through retake after retake. Better plan? I’ll lay it on you. Ugh. I’m definitely not the personality type who gets excited about making lists. But don’t worry–this plan’s easy. Start here–all you have to do is answer a few questions. 1. How many times are you, personally, capable of sitting for the exam? I’m talking about you, not your meditating neighbor Marcia, or your friend Stephen who can’t sit still for five seconds. You. What are you like? How do you deal with tests? Honestly assess yourself, and figure out what you might be able to handle. 2. What SAT-related rewards are you looking for? Do you want to earn your goal score? Are you really looking for scholarship money and admission into a tough school? Take the SAT 2-4 times. We’re saying at least two, but no more than four, because after you’ve taken the SAT four or more times, colleges start to think you’re a little strange. In other words, don’t take the test just to take the test. If you want to take an SAT proctored test for good practice, take one of Student-Tutor’s free proctored exams with score analysis. This way, you can get the benefits of sitting for a test, writing an essay, and seeing what you missed without showing up on the official radar. Do you want a decent shot at hefty scholarship money and admissions? Take the SAT 2 times. Two times is kind of the sweet spot of SAT test-taking. Many students opt for this approach and it works great if you are willing to put in the study efforts between attempts. It is best to allow the summer between junior and senior year open for SAT prep studying. Study on your own for free, take a prep class, take an online SAT on demand course at your own speed, or get private SAT prep tutoring. The idea would be to take the test in the spring of your junior year of high school, study over the summer, and take it again in the fall of your senior year. Do you want scholarship money and admission into a college, but you’re feelin’ a little risky? Take the SAT once. I get it–you’re dangerous. You probably drink milk straight out of the carton and leave your front door unlocked when you go to check the mailbox. But taking the SAT one time is the absolute minimum, and it’s not recommended. Taking it twice or more gives you a much better shot at the future you’re looking for. Is an SAT score not required for your school of choice? Maybe just skip the SAT. If you’re not applying to a 4-year college, or you are, but the school of choice does not require test scores, then maybe it’s not worth the stress. 3. Okay, so then what will your schedule look like? Free of charge, here’s our recommended SAT Smart Plan of Attack. Study Hard: Summer time should be SAT cram time. You will never have another time in your life where so much free money is available from studying for and doing well on one less-than-4-hour exam. Take advantage. This is more important than a summer job. Flipping burgers can’t hold a candle to a higher SAT score. Study again and take a 3rd time if needed. Note that the SOONER you start studying, the better. Is freshman year too early? Nope. 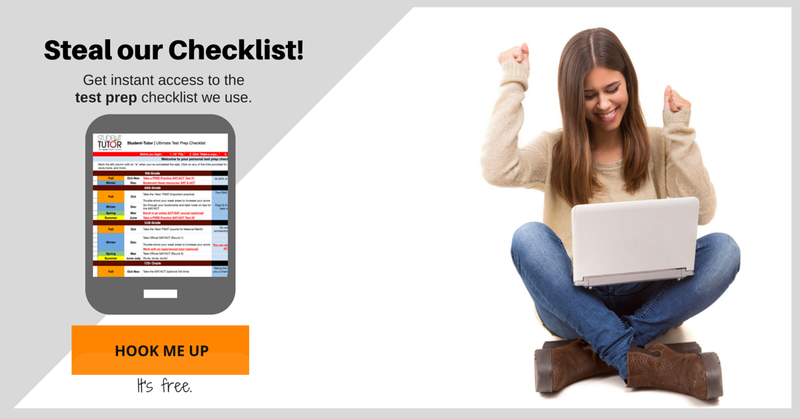 Want an even more detailed SAT test-taking plan? Here’s something a little easier on the eyes. Not a fan of screens? Click here for a downloadable PDF version of your new SAT Master Plan. #1: The early bird gets the worm. Start studying for the SAT early. January of your junior year is good. But earlier is even better. #2: Be sure to research your personal schools of choice. Harvard’s requirements are not necessarily the same as Stanford’s or ASU’s or UCLA’s. Don’t assume that all SAT score averages and deadlines are the same. Also, if you’re doing “Early Decision,” be sure to look carefully at deadlines there. 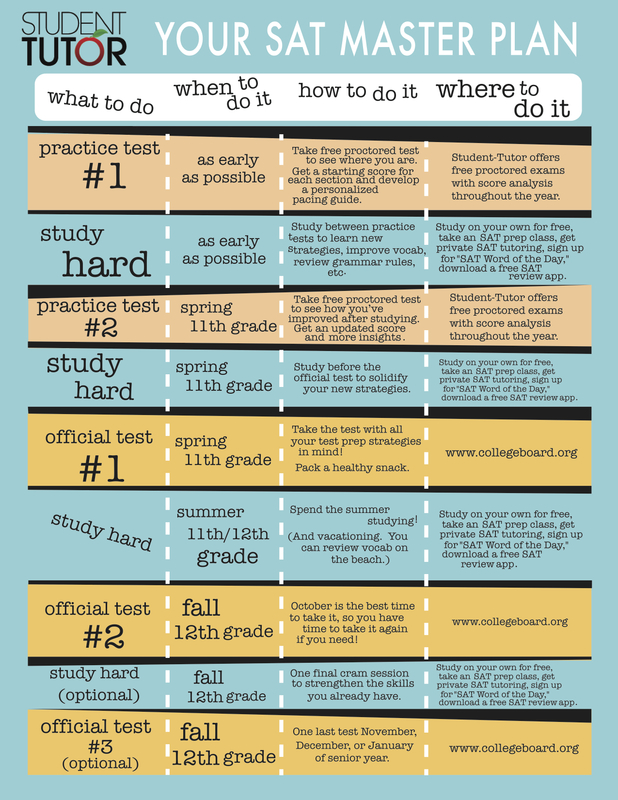 #3: The best plan to follow for studying for the SAT can be referenced here: SAT Studying Timeline. Take the official test at least in the Spring of Junior Year + Fall of Senior Year with tons of studying before and in between. #4: Study, study, study. There ARE proven ways to improve your score by learning strategies specific to the SAT. That’s why I love coaching students on it so much. Find resources whether they are free, borrowed, paid for, or developed on your own to maximize what you get out of the test. #5: Reach out for help when you need it! Is taking SAT for 4th time is bad?I got 1360 but my target school has average sat requirement of 1400. Have you looked into getting a private tutor for a couple hours or taking our assessment test to ensure you are studying on the RIGHT material? Now it is not bad but I would highly recommend getting professional help at this point! Is taking SAT 4th time is bad? I got 1360 but my target school average SAT requirement is 1400. That was truly very helpful post. I will definitely follow the above mentioned things in my SAT Prep and will likewise make sure that these things do count in rising my scores.